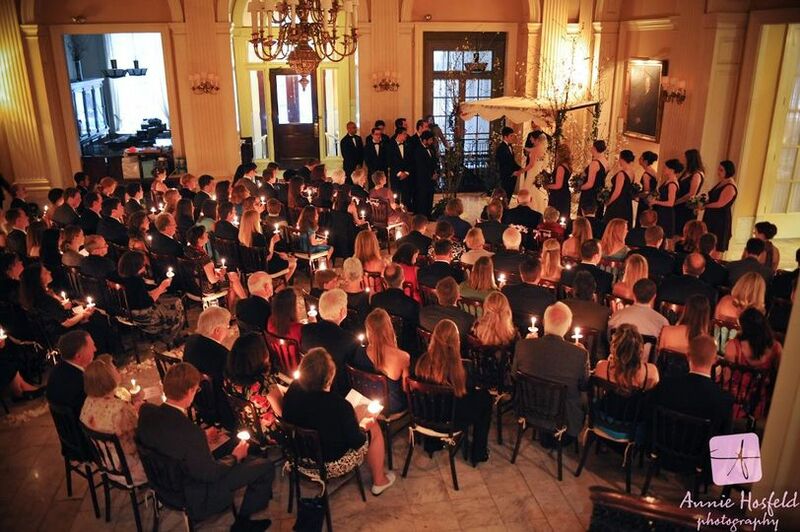 The Racquet Club of Philadelphia is an elegant indoor wedding venue located in Philadelphia, Pennsylvania. 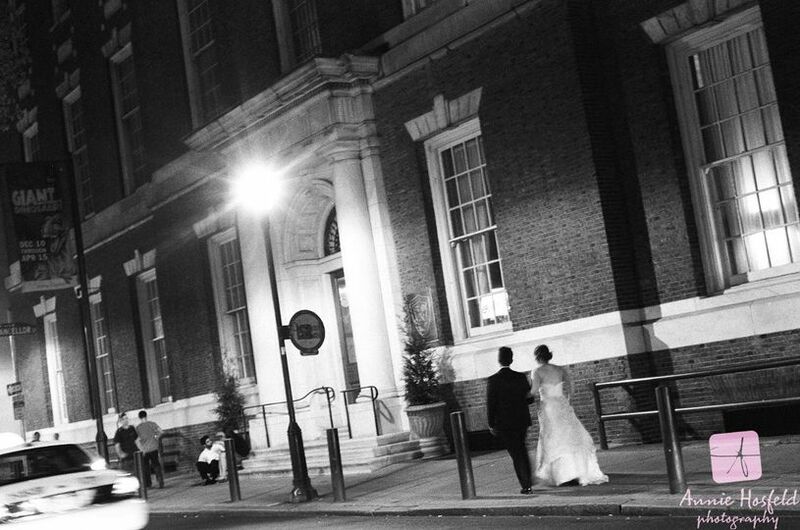 Located in the heart of Center City, the venue provides historic charm, ornate decor and architecture, and a sophisticated backdrop for your special day that will leave every guest speechless. From decor to cuisine, their experienced planners will handle every detail and bring your vision for your wedding day to life! The Racquet Club of Philadelphia offers a dazzling ballroom to host your one-of-a-kind celebration, accommodating up to 240 guests for your "I do's," dinner and dancing. 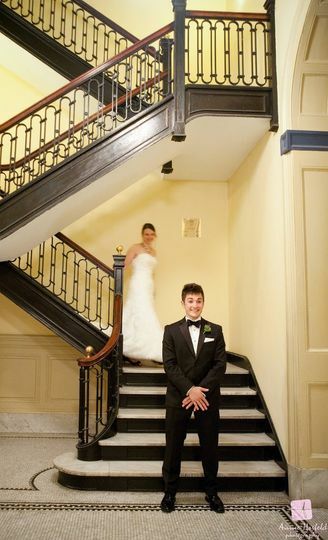 With its stately grand staircase, soaring ceilings, marble floors, ornate millwork, original artwork and vintage appointments, the venue provides an impressive backdrop for your special day. They also offer every modern comfort in 13 newly appointed rooms for overnight guests. In addition to catering, the venue also offers in-house bar services. The wedding bar services they provide include bartender(s), open bar, outside alcohol and signature drinks. 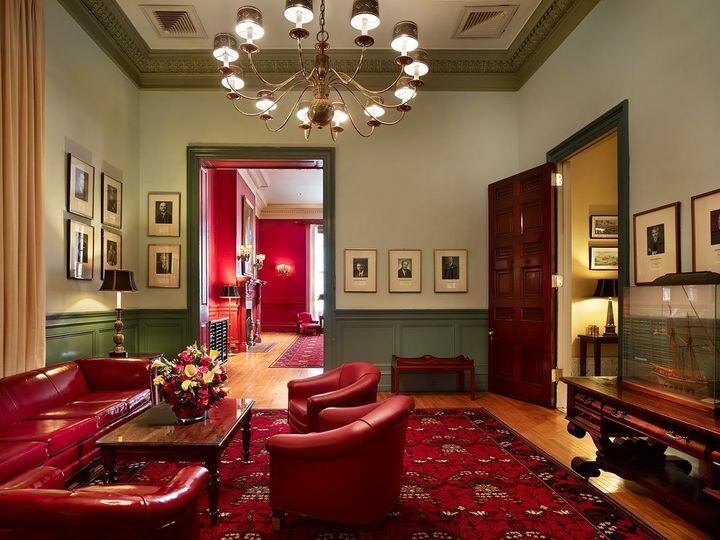 Founded in 1889, The Racquet Club of Philadelphia is a well-known National Historic Landmark. Designed by renowned architect Horace Trumbauer, this venue began its life as a posh sports club in the heart of Center City. Today, this historic building retains a timeless majesty, serving as a reminder of Philadelphia’s rich heritage and old-world sophistication. Our daughter was married at the end of August 2018 at the Racquet Club of Philadelphia. We couldn't have picked a more perfect venue and are still glowing from the wonderful day enjoyed by the bride and groom and their friends and family. The Racquet Club (RC) helped to create a day that was everything we had dreamed of for her - it was elegant and classy and magical and lots of fun. Within the RC are three distinct spaces for the celebration, a big plus. 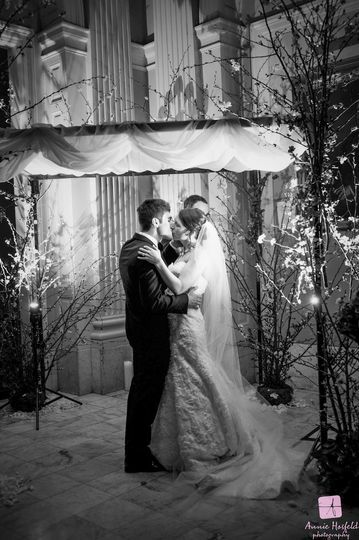 Our ceremony was held in the gorgeous marble rotunda. The cocktail reception that followed was in a large library type setting, and then dinner was served in yet another room. It made it possible to have quiet music played during dinner, and people were able to have actual conversations without shouting! After dinner the party moved back out to the rotunda where the band had set up for dancing. Jeffrey Miller does the catering for the RC, and Laura Shoup is their site coordinator. She is a consummate professional, who makes sure that the myriad of details that go into planning a wedding come together seamlessly. She is responsive, warm, and personable, and was a pleasure to work with. Jeffrey Miller Caterers provided a delicious meal. We tweaked our menu quite a few times, and were very pleased with the results. The hor d'oeuvres were delicious and well-presented, and the dinner was equally scrumptious. Mothers of the Bride don't get much time to linger over a meal, but I tried to steal a few moments to enjoy the good food. Service was prompt and attentive. The RC also has rooms for out of town guests, and we used their Founders Suite as our base for getting our hair and makeup done. This was convenient and comfortable and worked well for us. I have nothing but high praise for all the personnel at the RC. They were all helpful and accommodating. I highly recommend the Racquet Club and Jeffrey Miller Catering. My fiance and I were unsure where to get married - we both live in NYC ... but met in Phila ... and are from the far outskirts of the city. All of the venues (we looked at dozens) near home were super rustic, which isn't what we were looking for, so we decided to look into venues in Phila ... but afraid of the price tag. We looked at ONE venue in the city ... The Racquet Club and knew the second we stepped inside that this was our wedding venue. The place is GORGEOUS ... the character, the architecture, the colors, I mean everything about it is just stunning. I actually want to take my bridal photos on the chaise in the women's bathroom (not joking) ... every inch of RCOP is just absolutely perfect. They have 13 (affordable AND nice) guest rooms (including a HUGE bridal suite) which makes it super easy for bridal parties to all be in the same place. The fee for renting RCOP was much less than I was anticipating and we are happily having the wedding we've always dreamed of, while staying in budget. We are in the early stages of planning, but so far all staff at The Racquet Club have been super accommodating (I'm sure they are sick of my "Hi, (insert family member) is in the city and would love to drop by and see the place" calls). If you're looking for a classically beautiful venue with old city charm make sure to check this place out. 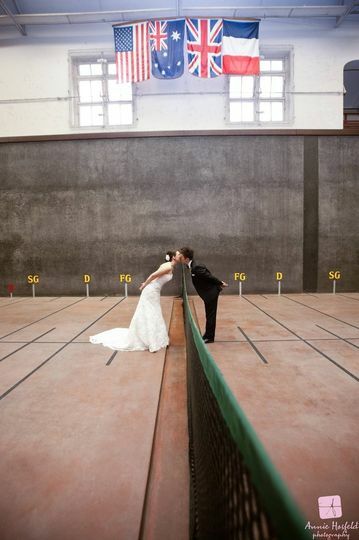 I can't even begin to express how amazingly our wedding at the Racquet Club went. 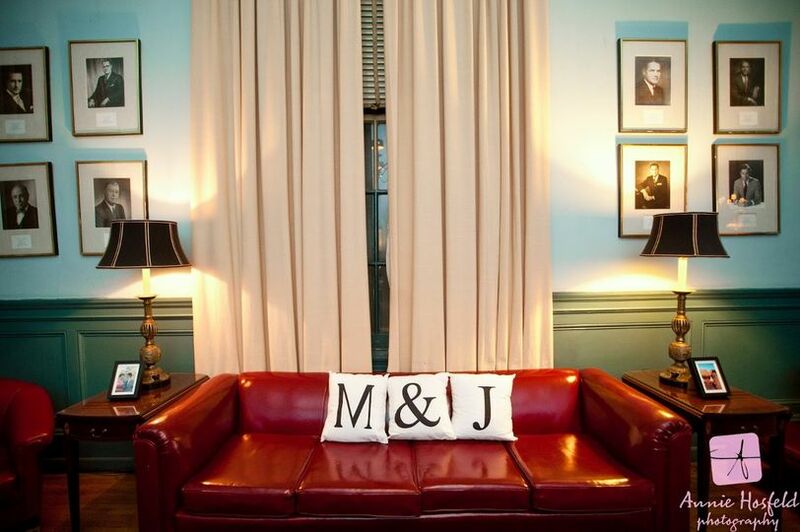 My fiance and I knew right away it was the perfect choice for our wedding, with it's old Philadelphia charm and bright welcoming spaces it was a dream come true. The event designer Laura was so delightful to work with, she responded to all of our questions right away and made the details part of wedding planning completely stress free. The food from Jeffrey Miller Catering was easily the best we've ever had at a wedding. They have rooms available to stay in and an amazing downstairs bar that we could book for our after party so we didn't have to spend one second of our wedding day traveling. Everything from the food, the incredible staff, and the beautiful space made it the absolute best day of our lives and I can't thank them enough. 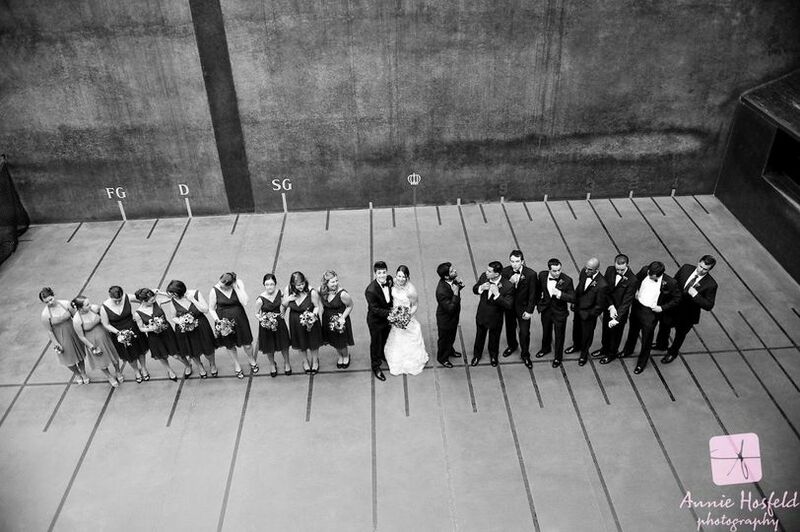 I cannot recommend the Racquet Club of Philadelphia and their entire wedding team more highly.